A small group of Nasher teens participate in an activity within the galleries to learn more about particular works. Photo by J Caldwell. Are you a teen interested in museums? 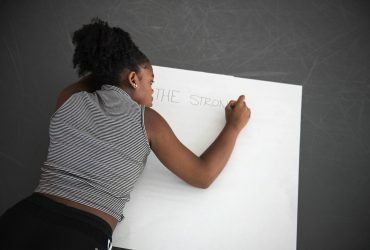 Looking for a supportive, inclusive space to be creative and collaborate with local artists and other teens? Check here regularly for new program offerings for teens in the area or email Jesse Huddleston, Program Educator for Nasher Teens, at jesse.huddleston@duke.edu with the subject line: 'Subscribe Nasher Teens' to receive email updates. 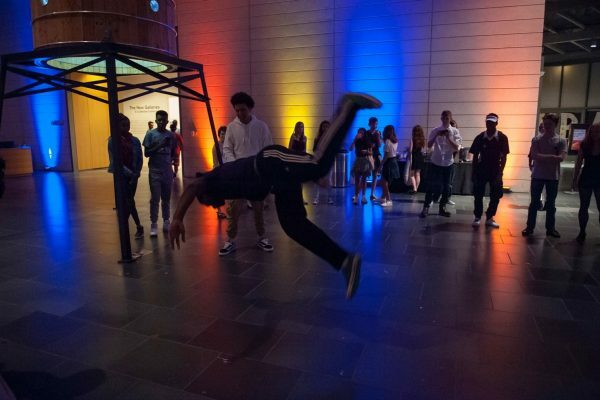 Nasher Teen Meetups are free and open to ALL area teens. 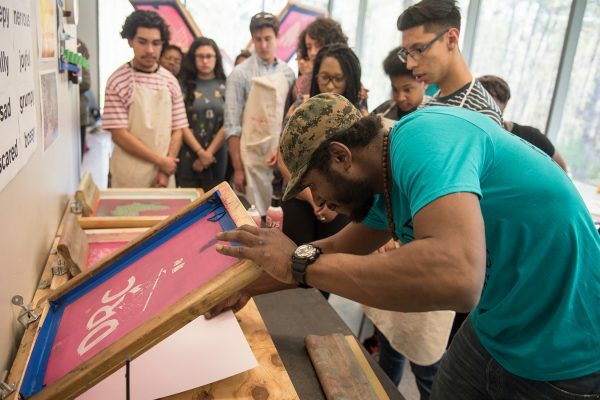 Explore art on view at the museum and create your own in these workshops led by local artists and Nasher staff. Programs are free but space is limited and advanced registration is required. Registration links will be posted to this page in advance of each Meetup. Email Jesse Huddleston, Program Educator for Nasher Teens, at jesse.huddleston@duke.edu for questions about Teen Meetup registration. 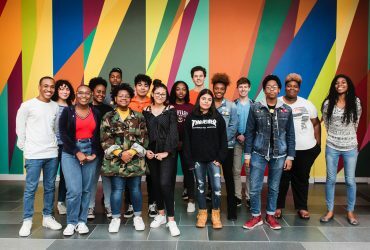 Being on the Nasher Teen Council has helped me grow, not only in my artistry but also in the way that I am able to communicate and collaborate with my peers. For future Nasher Teens events, visit the complete listings on our web calendar. 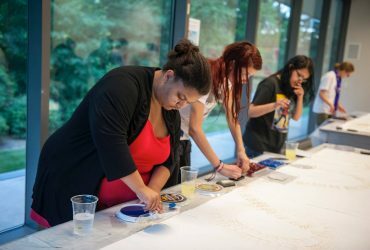 Email or call Jesse Huddleston, Program Educator for Nasher Teens, at jesse.huddleston@duke.edu or at 919-684-9244 or any for questions about the Nasher Teens Program or Teen Meetup registration. 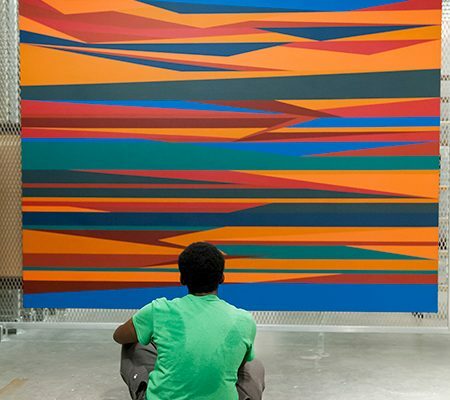 The Nasher Teens program is generously supported by The Sahm Family Foundation.